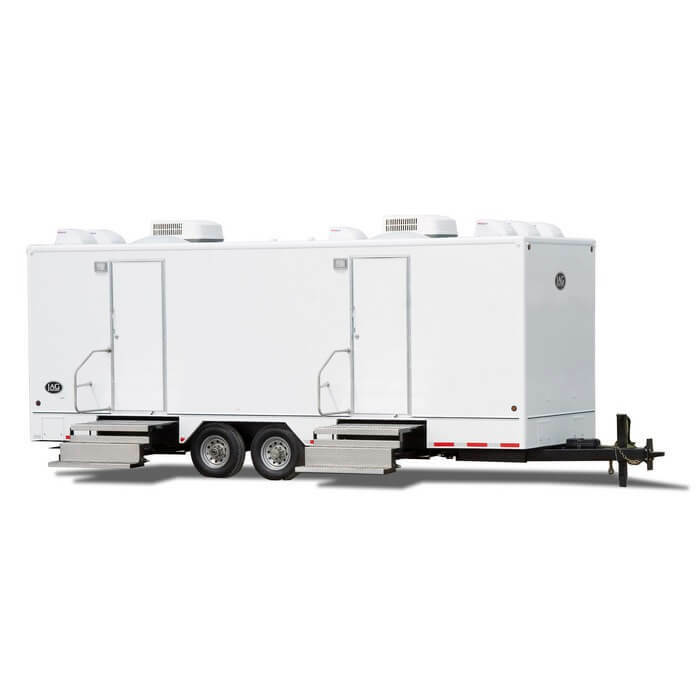 The 24’ Commercial restroom trailer is designed to look upscale and contemporary while also withstanding the heavy wear that happens on commercial sites. 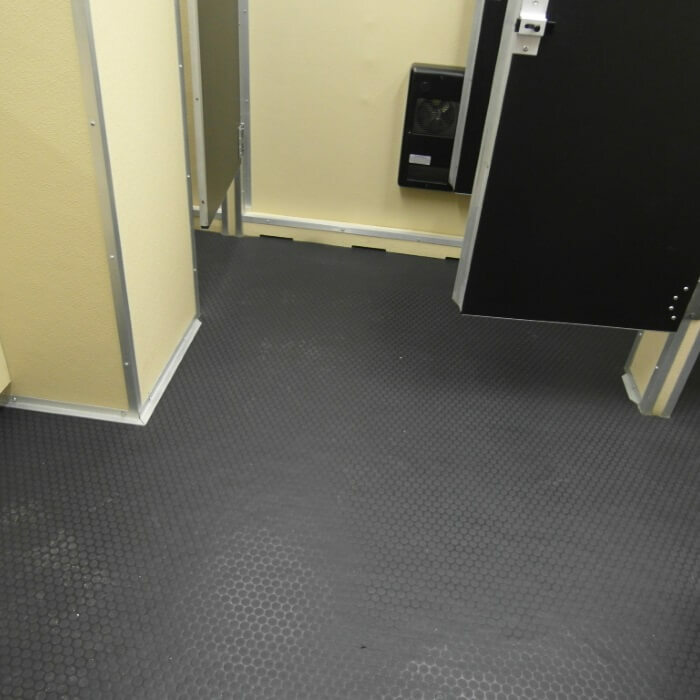 This restroom trailer is 24 feet in length and features seamless rubber floors, anodized aluminum trip, and counter space. This trailer is ideal for large weddings, outdoor festivals or concerts, marathons, and other events that see a lot of traffic. 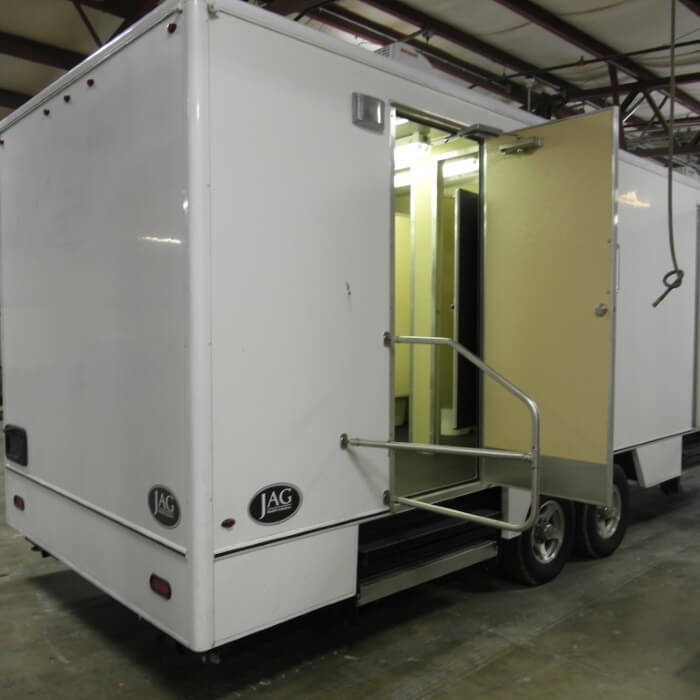 The 24’ Commercial restroom trailer from Moon Portable Restrooms also features flushing porcelain toilets powered by the on-board 300 gallon fresh water tank, stainless steel sinks with auto-stop faucets, florescent lighting, 7 total stalls (5 women’s and 2 men’s), 3 sinks, and 4 urinals. 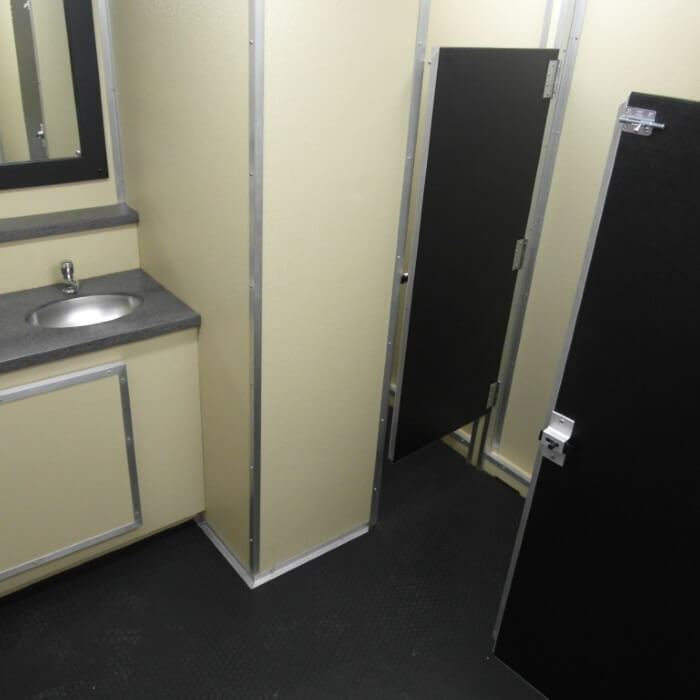 Ensure that your guests are comfortable at your event with the 24’ Commercial restroom trailer. 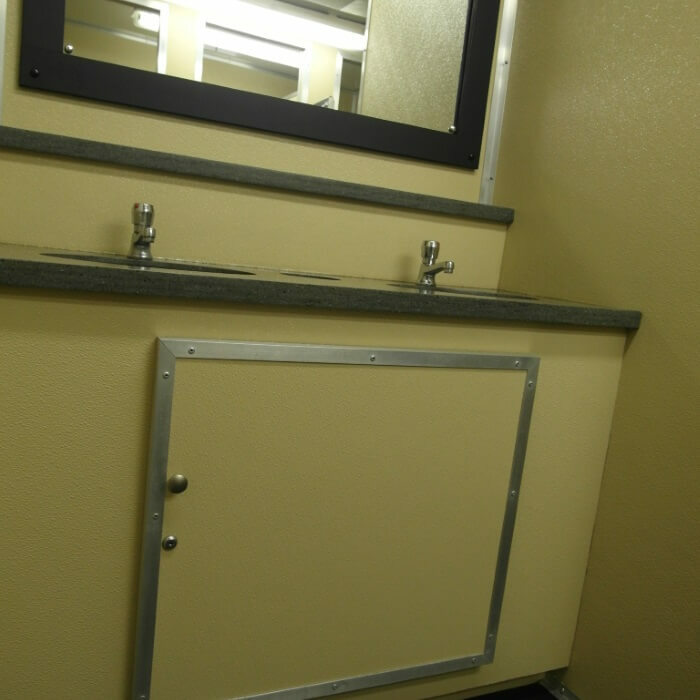 The 24’ Commercial restroom trailer features air conditioning and heating, so you can offer luxury bathroom amenities to your guests year round. 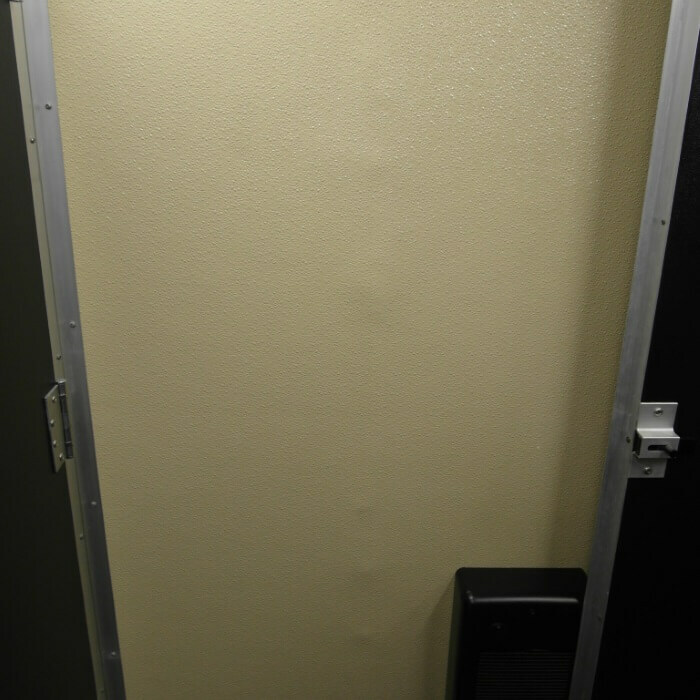 With LED porch lights by the doors, this restroom trailer is easily accessible throughout the day and in the evening, as well. We can guarantee that your guests won’t even realize they are using a restroom trailer when they walk into this restroom trailer from Moon Portable Restrooms. 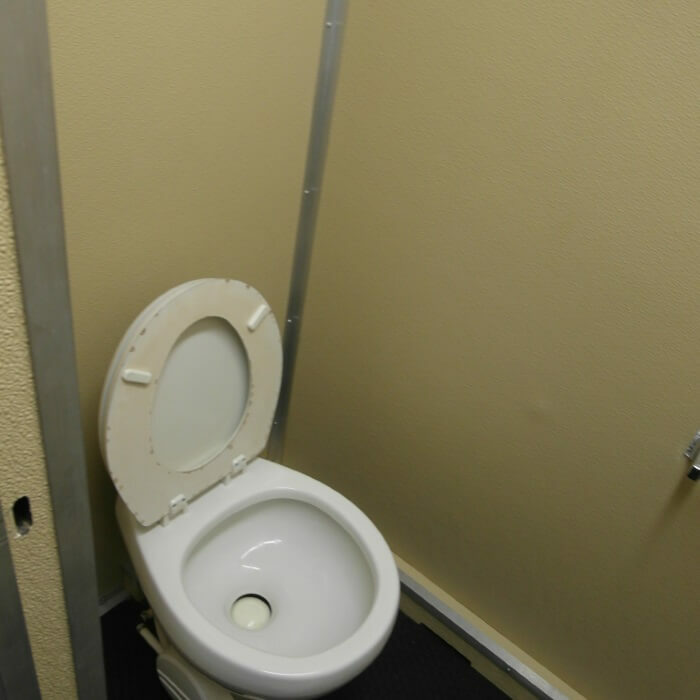 If you are interested in renting the 24’ Commercial trailer available at Moon Portable Restrooms, you will need a 12’ x 28’ cleared area on level ground, 3 dedicated 110 watt / 20 amp circuits, and a water source within 50’ of the trailer site. Contact Moon Portable Restrooms today by calling 502-776-2199 to set a day and time for delivery. 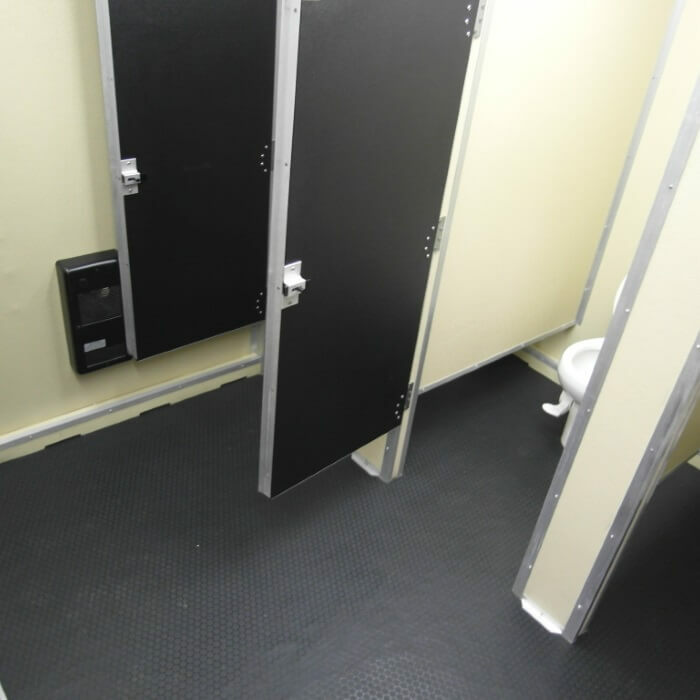 Get a Quote from Moon Portable Restrooms! provider of portable sanitation in this region. & skills of our employees. Call for a Quote Today! Copyright © 2019 Moon Company. All rights reserved. Website designed by Honeywick.